Mitsubishi Motors North America, Inc. (Mitsubishi) is recalling certain model year 2013 Outlander Sport AWD vehicles manufactured June 11, 2012, through December 11, 2012. These vehicles may have been built without a fuel sending unit harness for the sub-sending unit. This may result in a false fuel tank level reading. The vehicle operator may believe they have fuel when the tank is actually empty. This could cause the engine to stall while driving, increasing the risk of a crash. Got a lemon Mitsubishi Outlander? 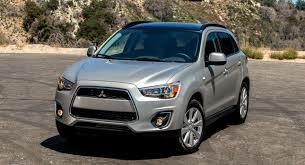 Want a new Outlander or your money back?